Originally designed by Welding Engineers Inc., NFM/WE’s design experts continue to expand the science behind the counter-rotating non-intermeshing twin-screw extruder technology.  In service since 1943, processing virtually every polymer type in the world, the WE Series of extruders are known world wide for performance and reliability. The non-intermeshing design creates the highest free volume and the lowest shear of any twin-screw extrusion process. NFM/WE’s WE Series extruders enhanced feed acceptance, provide superior distributive mixing, enable multistage feeding, and produce the highest surface renewal of any twin-screw technology providing optimum venting and devolatilization to accommodate a wide variety of applications over a broad base of polymers. Select one of the Applications above to learn more about the WE Series capabilities and specifications. Feed Acceptance: The counter-rotational movement of the feed screws draw free flowing materials into the extruder. At the apex between the screws, a “keying” effect is produces which aids conveyance and enhances feed acceptance. Our design allows the barrel to be open for a vent over a full diameter directly over the center of the screws. The screws’ rotation acts to pull polymers down in the vents, thus resisting vent fouling or flow. Distributive Mixing: Deep downstream screw segments combine with double reverse flighted compounders to ensure trouble-free downstream feeding and homogenization of mineral fillers and additives. The rotation of the material in the screw channel, the interchange of material between screws, and the longitudinal mixing flow all contributes in the distributive mixing process, producing the best distributive mixing performance of any twin screw polymer process. Dispersive Mixing: Feed screws are designed with various compounding segments developing higher shear rates for dispersive mixing. These screw sections are also used to create melt seals which enable effective multi-stage processing. The WE Series counter-rotating, non-intermeshing screw design has the largest free-volume manufacturing capability of any twin-screw extruder containing foaming melts – typical of 30-50% solvent concentrations. This extra free-volume also means we can provide longer residence time under each vent, reducing tendencies for vent flow and better overall performance and operation. Venting: The large degree of surface regeneration is essential for good venting of un-reacted volatiles, moisture, and entrained air. Combined with this high degree of surface renewal, the tangential screw design allows for various vent configurations to optimize both the vent area and vapor velocity. Large Vents Up to 6D Long by 1D Wide are available enabling longer, wider venting areas. This results in lower vapor velocities and a corresponding decease in polymer entrainment. Larger vents also mean higher vapor removal capabilities. Long L/D Capable: The WE Series of extruders can be built for extrusion processes up to and over 80 L/D in length. 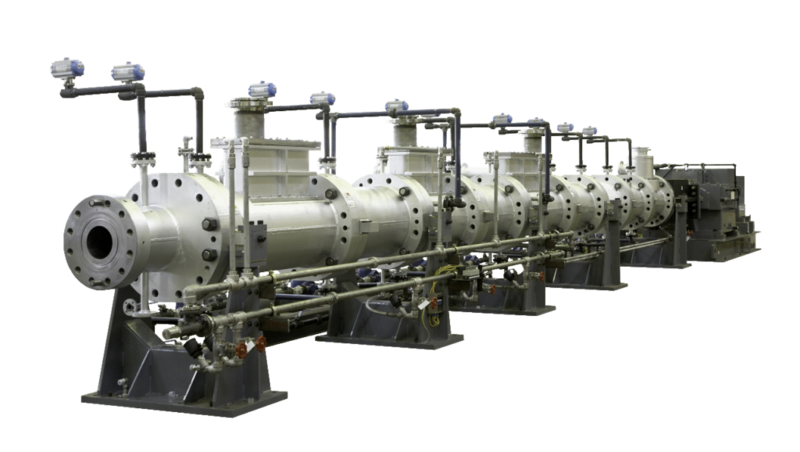 This long L/D capability allows for ample space for multi-stage processes (feed, liquid injection, steam injection, water washing, multiple venting stages, etc.) all in one machine. The extreme lengths can also be used to provide ample residence time for reactive processes. These features are key in producing the most time-tested and trusted twin-screw technology available. Various motor/drive classifications and cooling methods are available depending upon your application and environment. Motor sizing is based on the specific energy and max screw rpm selected for your product or the extruder maximum allowable HP (Kw). Unless otherwise specified the motor is targeted to operate at ≤~80% full load while producing the targeted rate. A mechanical torque limiting coupling produces an accurate and consistent torque setting ensuring reliable and repeatable torque overload protection. The coupling is test certified at the factory. Mounted between the motor and extruder gearbox, when the gearbox input shaft exceeds torque set value, the torque limiter instantly disengages the driving and driven inertias. A proximity probe is provided to sense coupling disengagement and feedback to the control system. Designed and manufactured by NFM / Welding Engineers, Inc., gearboxes are produced and assembled in Massillon, Ohio. 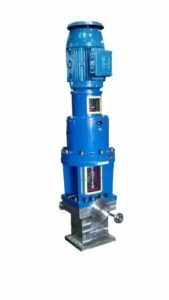 The gearboxes are optimally designed to transfer power from the main shaft to the auxiliary shaft and to absorb thrust loads generated on the screws by the extrusion process. Gears are helical, case carburized and precision ground for a maximum AGMA rating. 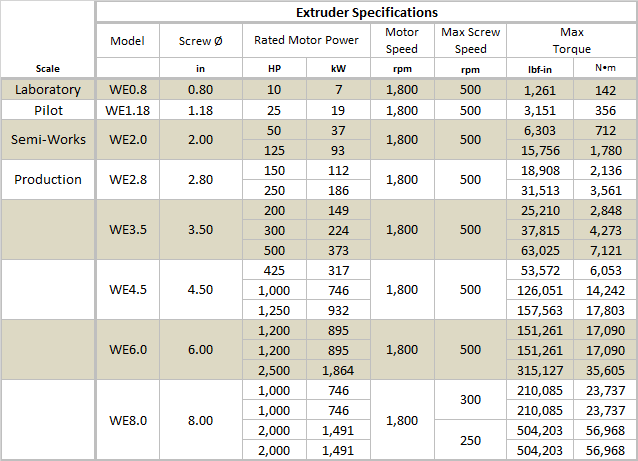 The WE Series of extruders feature 4:1, 6:1 or 8:1 L/D barrel sections based on the function required for your process. Standard designs include Feed, Closed, Vent, Injection, and Side Feed. Various inserts and ports are also available for optimal vent design, injection and instrumentation. Standard barrels are manufactured from mild carbon steel and HIP’d with bimetallic bore materials based on your material’s wear and corrosion resistance requirements. NFM offers a variety of barrel options including various base materials (tool steels, stainless steels, duplex, Inconel, etc. ), various bore materials (Nitrided, Stellites, Colmonoys, Carbides, etc.) and external treatments (nickel plating, chrome plating, aluminum thermal spray coating, etc.). Cored: WE barrels can be cored for cooling to allow medium transfer close to the barrel bores for optimal thermal transfer and precise temperature control. Jacketed: Barrels can also be jacketed for use with cooling medium, hot oil or steam. Electrical barrel heaters can also be used if environments allow. Non-intermeshing screws are built using adjoining segments allowing for optimization of custom process design. 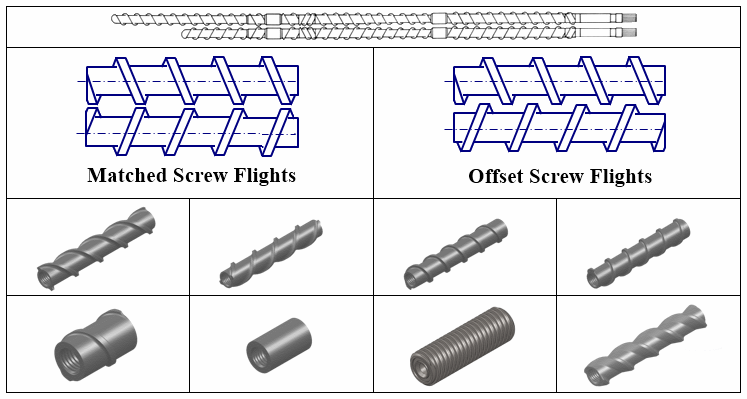 Construction of screw materials are typically stainless steel with Plasma Transfer Arc welded alloy materials to full width of the flight lands for improved wear resistance. Screws are available in a variety of materials designed for optimal performance in meeting your wear and/or corrosive resistant requirements. Screw configurations are optimized by our expert Process Engineers based on your polymer and process. The unique feature of the Non-Intermeshing design allows for matched-flight or offset-flight arrangements to enable improved conveying, mixing, and surface regeneration. NFM / Welding Engineers’ Mechanical Filters consist of two precision toleranced screws whose flight orientation is such that they pump materials down into the extruder. Engineered to allow removal of liquid effluent from the extruder while retaining the solid polymer particulate, these units are a crucial part to the success of many WE series processes. These units are selected based on your process’ effluent removal requirements (gallons per minute). Not only for dewatering and emulsion processes, these units can be utilized to optimize your polymer’s residual volatile levels by allowing late stage water-washing and/or steam-stripping of the polymer prior to exiting the extruder. This can be key to obtaining those crucial low residual ppm. For more than 60 years, our WE Series technology has been an industry standard for polymer development and production. The WE Series Counter-Rotating Non-Intermeshing Twin-Screw extrusion equipment offers a wide range of customization to specifically meet your application.